This small basin and storage cabinet is ideal for cloakrooms and ensuites which are usually limited for storage space. 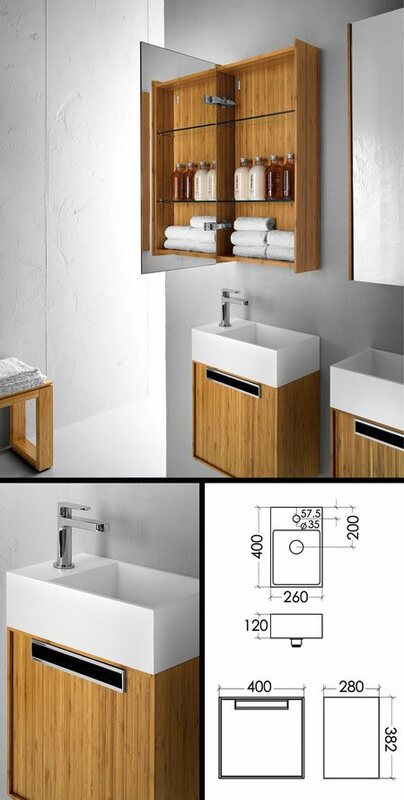 The bathroom basin cabinet is manufactured in bamboo timber. A mirror bathroom storage cabinet is available as an optional extra. * Only 260mm wall projection. * Matt stone wash basin. * Optional matching mirror cabinet. * Ideal for ensuites & cloakrooms.